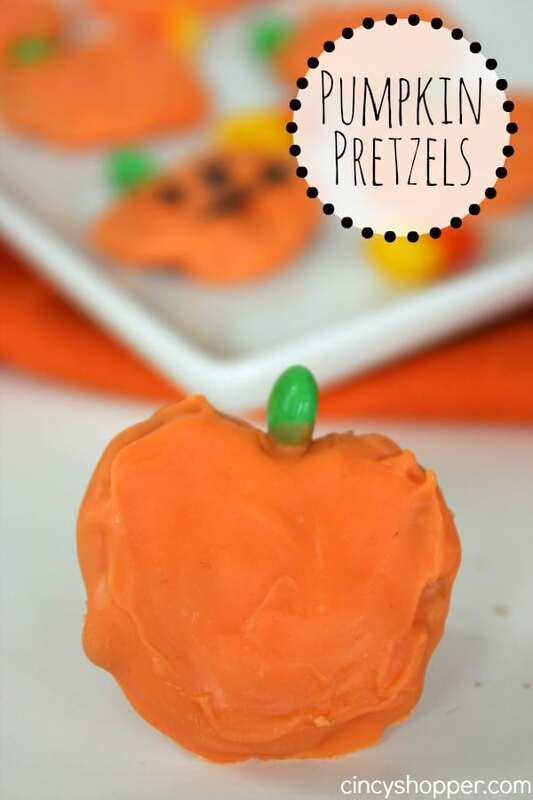 If you are needing a quick and super easy Halloween treat these Pumpkin Pretzels Treats will be perfect! I am always rushing around trying to finish everything up for our Halloween parties. These Pumpkin Pretzel treats have been a lifesaver many times. I can make them up quickly and toss them in a bowl or on a plate to serve. Sweet and Salty Treats are always a hit! 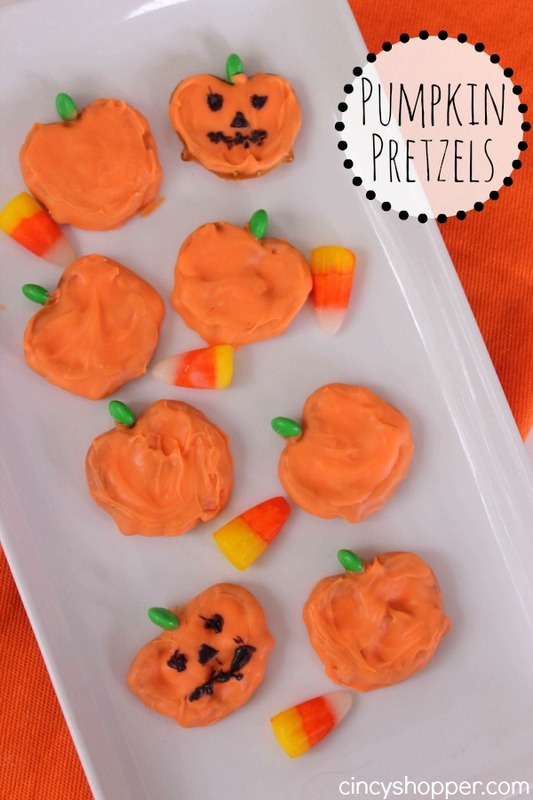 Plus these pair well on the dessert table with our cute Pumpkin Rice Krispie Treats too! You can leave your pumpkins with no faces or add on some faces to make them a bit more unique. 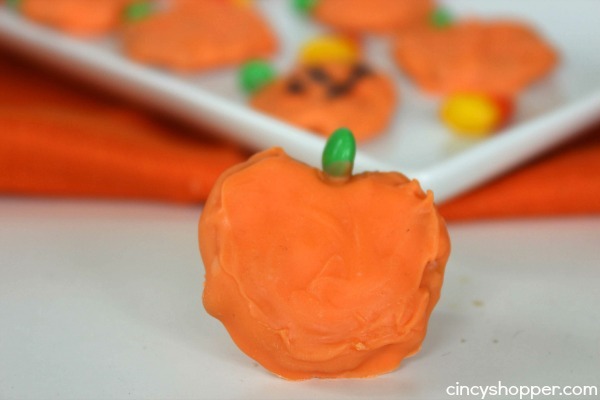 Decorating them with faces or glitter would make for a great project for the kiddos. 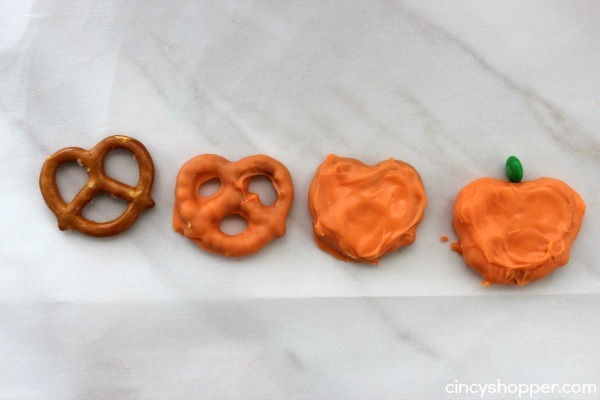 The ingredients your will need to make your own Halloween Pretzel Treats are quite simple. 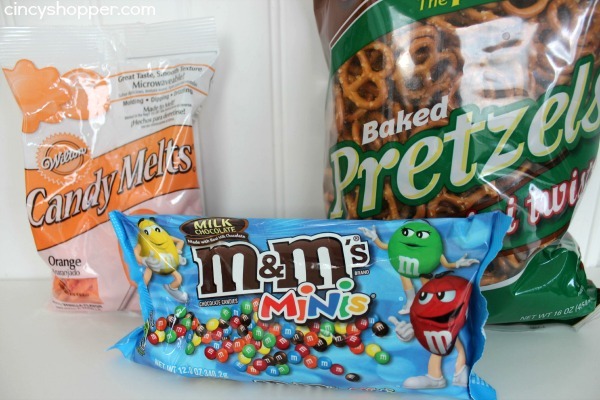 Just grab some Orange Melting chips, pretzels and some green candies. Super inexpensive and super quick and easy! Looking for other Halloween Treats? If so check out all of the Halloween treats I have shared here. I will be sharing many more before Halloween arrives.